This is the snowmobile adventure for the snowmobile enthusiast. 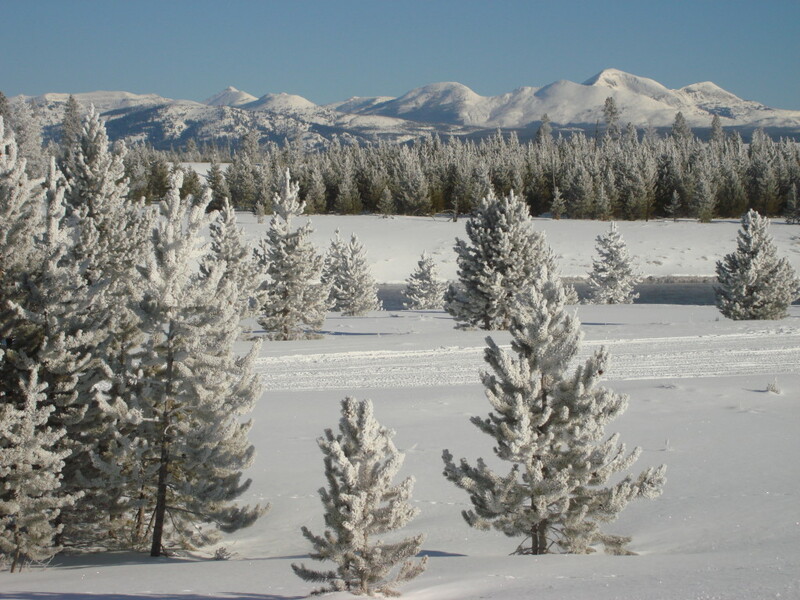 The Continental Divide Trail is an established, groomed trail system that crisscrosses portions of three mountain ranges, the Wind River, Gros Ventre and Absaroka Mountains. The trail consists of backcountry trails, lookouts and loops offering high-country vistas at every bend and stop on the way. The adventure begins in Jackson where guests are fitted with clothing prior to a van ride through a portion of Grand Teton National Park and the trailhead. This is still the Old West with large ranches covering thousands of acres and unsurpassed vistas in every direction. After hitting the trail, we travel up the Gros Ventre River, passing along the way several State administered elk feed grounds. After lunch at a local guest ranch, we ride the local trails reaching elevations in excess of 10,000 feet. The end of the day finds you relaxing at a local guest ranch enjoying a home cooked meal and warm bed. Depending on availability, we use several different guest ranches in the area; Crooked Creek Guest Ranch, Turpin Meadow Ranch and Brooks Lake Lodge (additional charge of $150.00 per person per night will apply for staying at Brooks Lake Lodge). Day two includes a spectacular ride up and over Union Pass, the route of the mountain men and where you cross the Continental Divide. Numerous open meadows provide ample area to test your riding skills and work up an appetite for the lunch that awaits along the trail at a guest ranch. The afternoon includes Divide Overlook where three mountain ranges are visible. Tonight’s lodging is at another local guest ranch. Depending on weather and snow conditions, on day three we ride up spectacular Lava Mountain to an elevation of 10,500 feet. After lunch, we explore the Togwotee Pass area which receives in excess of 500 inches of snow per year. The adventure ends at the trailhead and a van ride back to Jackson. $1750.00 single rider (per person cost, based on double occupancy, for single occupancy additional fees will apply). Deposit of $750.00 per snowmobile booked – due at time of booking, remaining balance due 30 days prior to actual trip date. Additional fee may apply for private groups of 4 or less. These tours leave on specific dates from Jackson, WY. Group size is limited so early reservations are recommended. 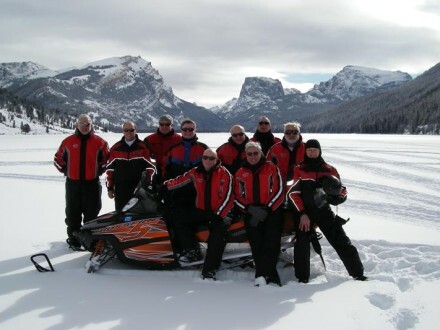 Tours are all inclusive and price includes transportation to and from Jackson, snowmobile gear, snowmobiles, professional guides, 2 nights of lodging and all of your meals while you are on the tour with us. Not included in the price are alcoholic beverages and optional snowmobile insurance. The only other thing not included in the total price is gratuity, if you choose to leave your guide a tip.